A number of recent inquiries have thrust the whole issue of a medical marijuana card squarely within the context of a Driver’s License Restoration Appeal. On top of that, a few of the Hearing Officers before whom I appear have recently been asking if a person has a medical marijuana card, or has ever applied for one. 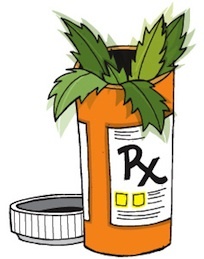 Medical marijuana laws do conflict with other laws, and the resolution of such conflicts is still unsettled in many of those situations. However, unless and until there is ever some hard and fast ruling to the contrary from one of Michigan’s Appellate Courts regarding License Appeals and medical marijuana, don’t expect to see the Michigan Secretary of State’s Driver Assessment and Appeal Division (DAAD) approving any License Appeals for someone with a medical marijuana card. For the most part, the underlying reasons for this should be rather obvious. In an earlier article about Sobriety, I pointed out that people who are truly sober understand the meaning of “Sobriety,” whereas people who don’t really understand the meaning of “Sobriety” will mistakenly equate it with simply not being drunk, or not drinking to extremes. “Sobriety,” in the sense we’re discussing here, is more a state, or state of mind, than just the absence of intoxication. In this way, “Sobriety” implies that a person previously had a problem with alcohol has decided to give it up for good. Because the language we’re using here is precise, we must differentiate the general concept of “abstinence” from the more specific meaning of “Sobriety.” Abstinence means to abstain. If we’re talking about someone who has had a struggle with alcohol or drugs, abstinence simply means, “not using.” Thus, a person can be put in Jail, meaning they’ve been forcibly separated from the ability to drink alcohol for a given period of time. Even if they desperately want a drink, and count the days until they’re let out and can drink again, that period of time during which they were in Jail and could not drink is a period of abstinence. Part and parcel of the process of becoming sober means acquiring a basic understanding of certain notions about alcohol (or drug) use. When a person’s use of alcohol or drugs becomes so problematic that they have to separate themselves from such use, they learn that they must give up using all potentially addictive and mind or mood altering substances. It is a given that if the alcoholic is separated from his booze, but has access to something like Xanax, he or she will soon enough use it as a substitute. The same thing applies when a person with a drug problem is separated from drugs, but has alcohol available. A person with a drug problem will always be told that he or she must not only abstain from his or her substance of choice, but also not drink alcohol, either. In countless cases, such individuals have replied that there is nothing to worry about, because they never liked alcohol anyway, only to wind up transferring their addiction to alcohol as a substitute, and usually in a relatively short period of time. The bottom line is that once a person develops a problem with ANY substance, be it either alcohol or drugs, getting better, as in recovering, necessarily involves abstaining from the use of any other potentially addictive or mind or mood altering drugs. You can’t “get sober” by giving up getting drunk, only to start getting high instead, nor can you “get clean” by giving up getting high, only to start getting drunk, instead. This is pretty basic recovery stuff. Anyone who has spent any time in any kind of outpatient treatment program or around the tables of AA should know this. And that means that if a person knows this, they know that marijuana (or any potentially addictive or mind or mood altering drug) should be avoided at all costs, unless absolutely medically necessary and without suitable alternative. Thus, a person undergoing a brutal cycle of chemotherapy may have a much better “medically necessary” or “without suitable alternative” argument for using marijuana than someone who claims chronic back pain. To be clear, any kind of “acceptable” use of drugs by someone in recovery from a drinking problem will have had to have taken place for a certain, limited period of time and be specifically and thoroughly examined by the Substance Abuse Evaluator. About the last thing the DAAD will let pass is the use of any drug like Xanax, Vicodin or marijuana on an “as needed” basis. And this spells big trouble for anyone with a medical marijuana card. The larger point here is that anyone who is really into their recovery knows that they need to avoid potentially addictive or mind or mood altering substances. This is where a real understanding of “Sobriety” comes into play. A person who is really and truly sober, meaning a person who has committed him or herself to remaining alcohol and substance free, already knows that “Sobriety” means not getting intoxicated by any means. It means NOT altering the state of mind in any way. It means that if you are recovering from a drinking problem and you hurt your back, you tell your Doctor that you’re in recovery so that he or she can either prescribe a non-narcotic pain reliever, or very closely monitor a limited use of a narcotic on a limited basis. Anyone with a medical marijuana card clearly does not understand the nuances of this. If you have a medical marijuana card, it means you’re understanding of “Sobriety” isn’t complete. Because of that, it means you won’t win a License Appeal. And this doesn’t even begin to touch on the subject of the required urine screen that’s part of the Substance Abuse Evaluation that must be filed to being a License Appeal. This does not render a person “dead in the water,” but if you do have a medical marijuana card, or even if you’ve applied for one, we’re going to have to upgrade your understanding of the nature of your problem and the meaning of “Sobriety” quite a bit before the state will ever approve a License. About the LAST thing you should do is blunder into a License Appeal when you have a valid medical marijuana card. Instead, one of the first things you should do is take a step back and call me. I can help a lot more before you make a mess out of things by having a License Appeal Hearing while you hold a medical marijuana card. And even if have gone in and done just that, I can still help with your next Appeal, but there certainly will be a lot of work to do.